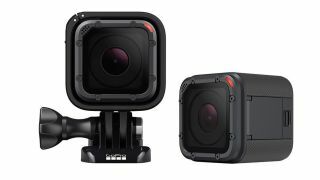 We really liked GoPro's first entry-level Hero Session camera, but according to statements from GoPro CEO Nick Woodman in an earnings call yesterday, the line won't be around for much longer. Instead, it's going to be replaced by a new, unnamed entry-level GoPro device sometime next year. Apparently this new device will definitely be something to look forward to, as Woodman believes "it's an even better form factor for that price point," as quoted by The Verge. "Demand for GoPro’s entry level Session was much higher than anticipated, and will result in a sooner than expected end of life for this product," Woodman said during the call, "but [this] identifies a significant opportunity for us to expand our market with a new entry level product slated for 2018." Not long after, an analyst asked about GoPro's thoughts on "new competition" in the market, which Woodman interpreted as a reference to the AI-powered Google Clips camera. Woodman largely shrugged off the perceived threat, though, and expressed his belief that the Clips and GoPro's devices have "very different use cases." "[The Clips] doesn’t shoot video, it doesn’t capture sound," Woodman said. "It’s generally designed for more static use cases than a GoPro." In fact, Woodman seems to think that the release of the Google Clips will turn out to be good for GoPro, as it will spread awareness of such devices for the mass market. Once customers discover they like what the Clips camera can do, in other words, they might be inspired to buy whatever new device GoPro has lined up to replace the Hero Session next year, which will almost certainly have high-definition video capabilities. Woodman dropped the news during a comparatively upbeat earnings call, during which he announced that the company just had its first profitable quarter in two years. Unfortunately, that news was tempered by the company's revenue projection of only $470 million for the fourth quarter, which would make this GoPro's least profitable holiday season since 2015. Shares were down 13% this morning in the wake of the news.